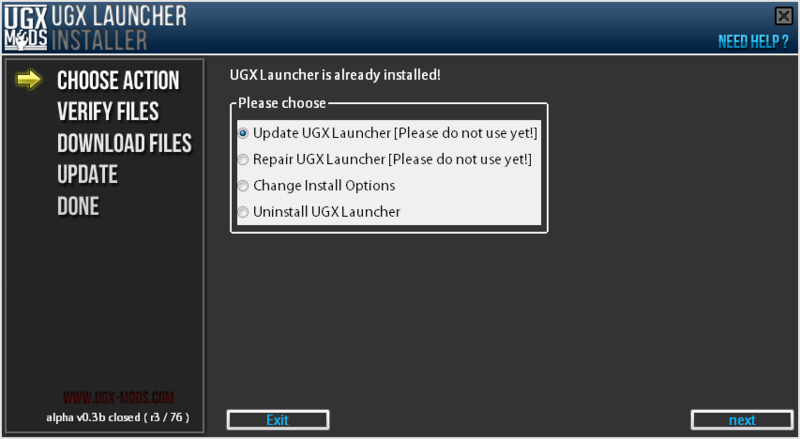 Installing the UGX Launcher is extremely easy. If you notice that something is wrong, or you found a bug please report it. 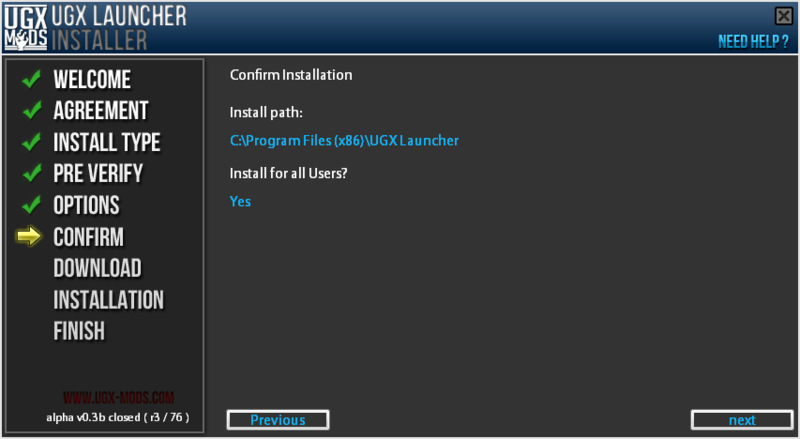 Download and start the UGX Installer as described below. 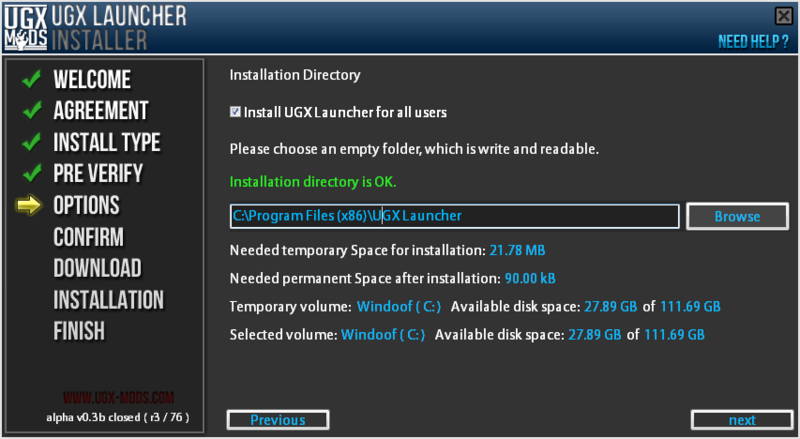 Simply download the latest version of the UGX Installer and run it. 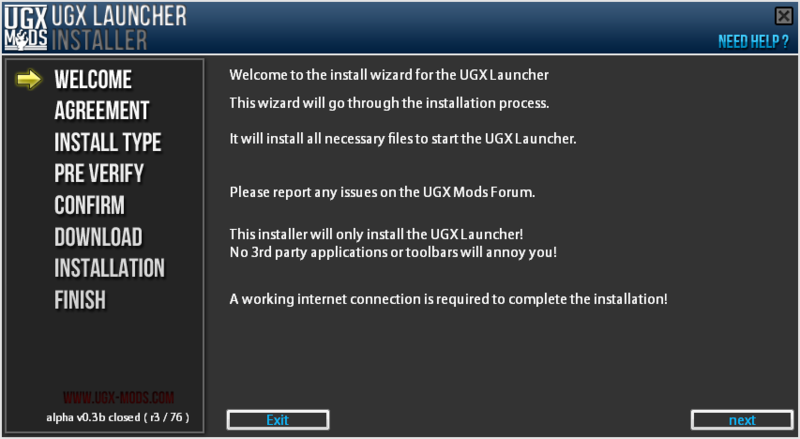 Just follow the Install Wizard and if everything succeeds the UGX Launcher is properly installed and can be started. Open the UGXL Installer after you downloaded it. Select your preferred install type. You can also create the default "parent folder" "<windows drive>:\Program Files (x86)\UGX Mods\" and then try express again. This will be fixed in the next version! If you choose "Custom installation" you get some more options before the installation process starts. Please ignore the questions, those are for later development and might be possible features. 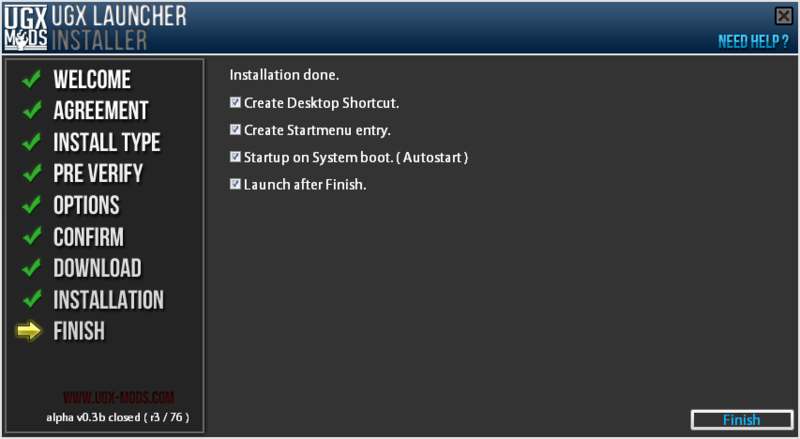 Create Desktop Shortcut will create a shortcut on your .... desktop. Startup on System boot. 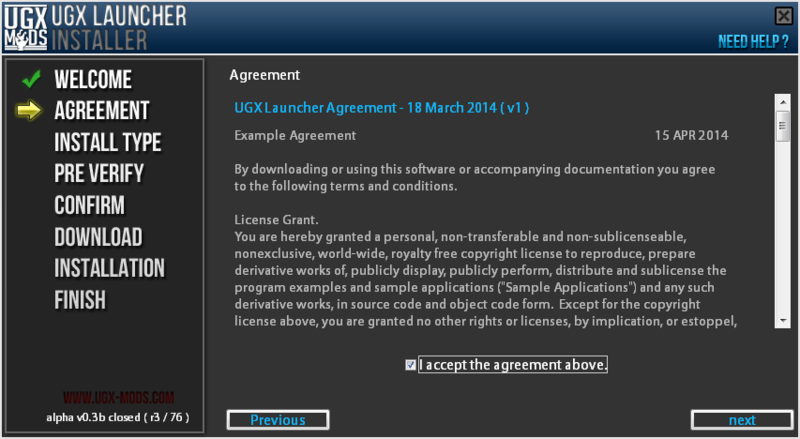 will start the UGX Launcher when windows is loaded and ready. 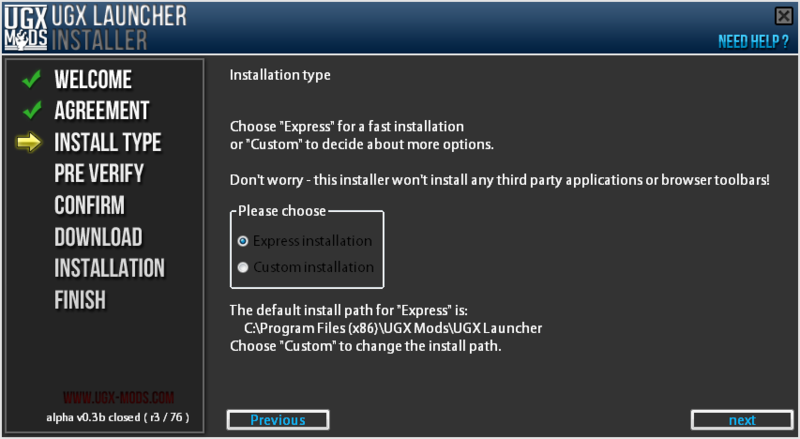 After installation, if you execute the UGX Installer again, it should show you four possible options. The UGX Installer will add an entry to the Programs & Features of Microsoft Word. 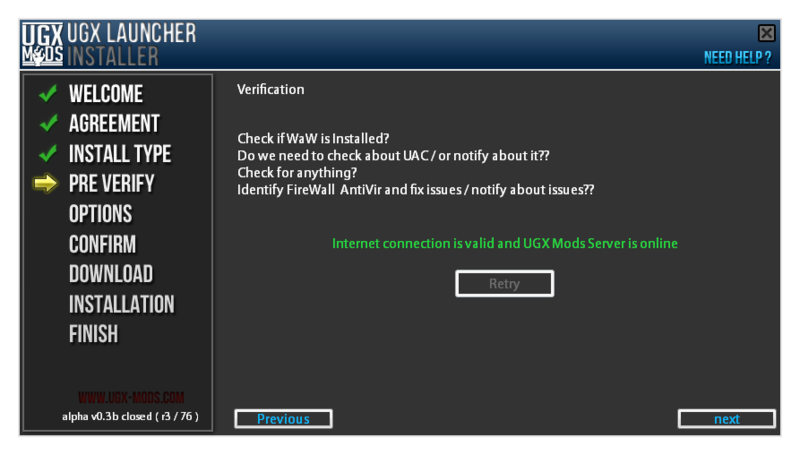 Also the UGX Installer QA page has some bugs mentioned!